My favourite way to eat beets is by roasting them. 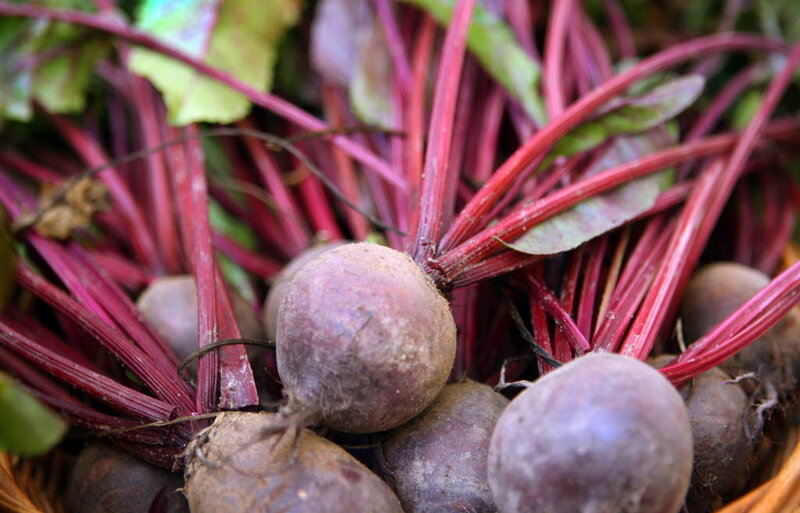 Roasted beets are great in salad, in a stirfry, with other roasted veggies, or on their own! This recipe for roasted beet salad is so delicious, and is a great dish to bring to a barbecue. 1 cup of goat cheese. I prefer cranberry or blueberry goat cheese, but plain works too. Wash and chop the beets into 1 inch cubes. Place on oven or barbecue safe tray, and drizzle with 2 tablespoons of olive oil, add salt, and mix together. Roast in the oven or on the barbecue. Add more olive oil if they get too dry. Roast for 30-40 minutes, or until the beets are tender. Once the beets are done, let them cool. To make the dressing, mix the olive oil, balsamic vinegar, and maple syrup. Once the beets have cooled, chop the salad, and put it into a large bowl. Add the beets, cheese (chopped or crumbled), and sunflower seeds into a smaller bowl, and mix together. Add the beet mixture to the lettuce. This entry was posted in Beets, Recipes, Romaine Lettuce and tagged Beets, Romaine Lettuce. Bookmark the permalink.